Unlimited Disk Space – This ensures you never need to pay for extra storage like can happen when you use free blog hosting. Unlimited disk space means you can be generous with your backup strategy. Unlimited Domains – Once you’ve caught the blogging bug, it’s likely you’ll want to create other blog niches. Breaking your audience up into niches is best practice for blogging, so you are likely to need other web domains. It’s good if you can host your multiple domains on the one web hosting account, but usually you can upgrade this feature with little trouble. 1-Click Installs – 1-Click Install now allow you to install popular software like WordPress with very little user interaction. These are a must for the novice blogger, but I’ve only recommended companies that have this feature, so you are covered in all cases. cPanel – This is the user interface and is used by most Blog Hosting Providers. A good user interface makes life easy, but apart from the basic WordPress installation you only need to worry about backups and creating a personalized email account. Upgradability – As your Blog grows you may want ensure your hosting company can grow with you. Success is a good problem to have and most companies are eager to please. Start small and grow as you need. The companies listed above were chosen as they all have similar features and all support Wordpress Blogging, therefore it’s down to your personal preference and budget range. Pick of the List: iPage – iPage provides the cheapest startup costs with the best features. With iPage their low-cost entry pricing was also available on short 1-year terms at the time of compiling this list. As mentioned earlier, the cPanel interface provides a painless user experience. And because it’s the most popular web hosting interface on the web, there are thousands of tutorials available on places like Youtube. You may even find a few on my Youtube Channel that are useful. Take a look and subscribe to my channel if you want to be notified when new ones are published. 1-Click Installs – Web hosting has come a long way since I started on the internet over 10 years ago. And 1-Click Installs have made the customer experience easy. Yes, it really is just a single click. See an installation in action. Domain Backups – I like to ensure my web domains are regularly backed up offsite, so I have peace of mind in case there are problems. However, there are third party wordpress plugins that do cloud backups for you. Pick of the List: BlueHost – The Bluehost user interface is very well laid out and you don’t need to go searching for the features you are looking for. Everything you’ll ever need can be accessed from the main screen. The quality of support for your web hosting is really important to your end user experience. Most companies provide 99.9% uptime guarantees and they usually do server maintenance while people are sleeping. All hosting companies will notify you if there is a scheduled maintenance window looming, so you can communicate this to your readers ahead of time. If you are having trouble with your blog setup these companies all provide 24/7 support and are really helpful and patient when sorting through your problems. They will often provide work instructions or sometimes just fix the problem for you. Pick of the List: Bluehost – I’ve used Bluehost Support numerous times and always get my problems sorted quickly. Bluehost edged the others out due to the willingness to bend over backward during a few site migration that went smoothly for me. A free Internet Domain is a bonus when you’re starting a new blog. It saves you a few dollars and lowers your effective startup costs. Usually, the domain name cost is covered for the first year, but that is plenty of time for you to decide if you are making a real go of blogging. Pick of the List: GoDaddy – GoDaddy are the leaders in domain name registrations, so you can be assured they know what they’re doing. And finally we come to the money-back guarantee. Each hosting company has their own policies regarding money back guarantees, but the best ones to look for are the anytime money-back guarantees. What this means is it you ever decide blogging isn’t for you, you can hand back the keys and they’ll refund any remaining money. This works nicely when you take advantage of the super low pricing on a 3-year contract, as you can still get a refund if you aren’t happy anytime in the contract. Pick of the List: Bluehost and GoDaddy – Both these companies had the anytime guaranteed at the time of writing this article and both deserve to get a special mention. Bluehost is the pick of these blog hosting companies if you are looking for a balanced web hosting package at a reasonable price, especially if you take advantage of the low 3-year plan. But in reality all these Web Hosting Companies are leaders in this industry, so you can be assured it’s really a personal choice. Perhaps start with a company that provides an anytime guarantee and if you aren’t happy then you aren’t locked in. 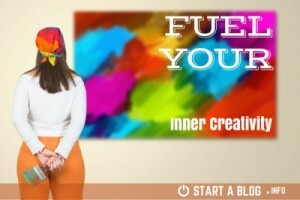 ARE YOU READEY TO START BLOGGING? 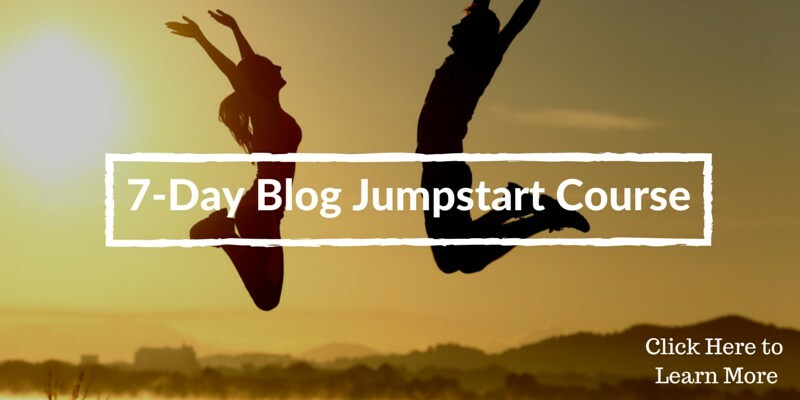 Then sign up for the Blogging for Beginners – 7-Day Blog Jumpstart Course. Yes, it’s FREE! This is a professional site that receives compensation from the companies whose products we recommend. We test each product thoroughly and give pass marks to only the very best. We are independently owned and the opinions expressed here are our own. NB: Please do not ask for referrals as we only refer products or services that we have used and find beneficial to our readers.